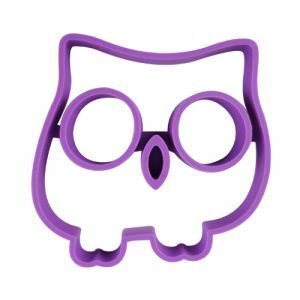 Making breakfast has never been easier with the sun and cloud silicone egg mould. 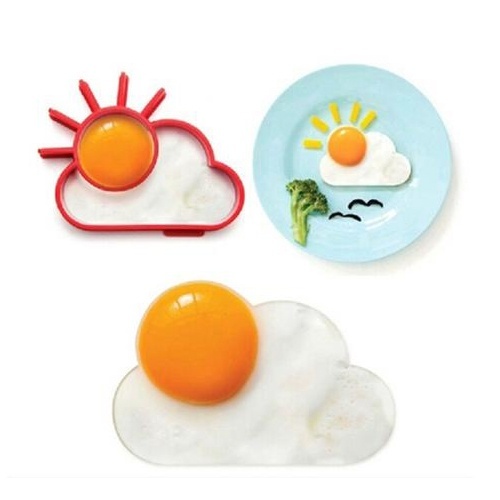 Easy to use, and clean, this sun and cloud mould will delight children and they will think breakfast is so fun when they see a sunny scene on their plate. Your Little Cook can get creative and decorate their sun and cloud using other healthy food items, creating all sorts of food pictures. 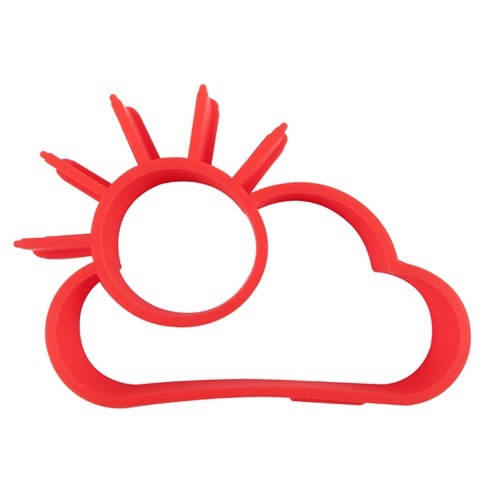 Your Little Cook will have a sunny day after they have created the perfect sun and cloud fried egg using this special sun and cloud silicone egg mould. The egg yolk becomes the sun and the cloud is formed by the egg white. 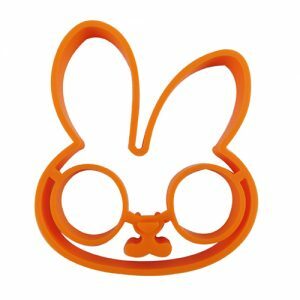 Eggs will always be sunny side up when you use this egg mould. 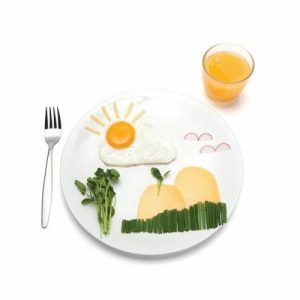 Breakfast will become so fun as your Little Cook creates food pictures on their plate. Add their favourite fruit and raw vegetables and see how many different scenes they can create.